Daniela-Mushrooming-0622, originally uploaded by Paradise in Portugal. Though we haven’t had any rain to speak of yet – we’ve had one thunderstorm and two days drizzle since May – it’s just damp enough to produce a lovely early crop of mushrooms and we’ve been busy little bunnies making the most of them. 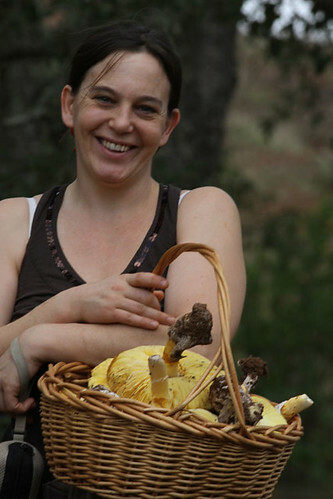 A fantastic bonanza of Caesar’s mushrooms, (like the basket-full Daniela has in the picture above), as well as Parasols a-plenty … Wonderful to be able to get out and about in such clean air, warm sunshine and beautiful countryside with the kids and the dogs and grab dinner from amongst the cork oaks! Red-Deer-20090908, originally uploaded by Paradise in Portugal. 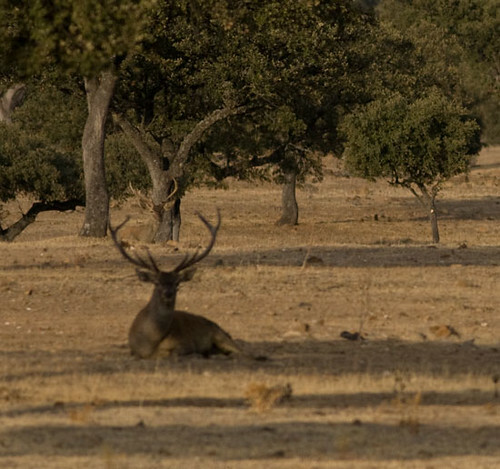 We drove back through a part of Extramadura in Spain, just keeping our eyes peeled for anything out of the ordinary, and one of the sights was the above. Now, before anyone starts having a go at me about the subject being out of focus … take a look through his horns. The wonders of camouflage, eh?! Bird Fair 09, originally uploaded by Paradise in Portugal. I’ve been asked by several people for a copy of the talk I gave at the Birding fair in Rutland last week, and I said that I would post it up here …. but even a précis goes on for ever, and on a blog that’s normally made up of snippets it’ll look wildly untidy, so please, if you’re waiting for it to appear, wait no longer as it ain’t going to happen! Just email me through this site and I’ll send it to you. Thanks to everyone who came to hear me; some of you traveled immense distances and your efforts of support were much appreciated; next time you’re out here, the drinks, (wine of course), are on me! OK, for everyone who reads this blog or who may stumble upon it by accident please note that I’m going to be in the UK next week, principally at the British Birdwatching Fair. I’m going to have the same stand as always, Marquee 4 Stand 97, and sincerely hope to see you there! I’m also going to be giving a lecture on the Threat to the Montados and what we can all do to save it, (Sunday 23rd August 15.30, Lecture Marquee 2), so I also hope that some of you will be able to make it to that also! I haven’t posted a picture of this as there’re plenty on this blog already, but please come along and have a chat at the Birdfair; see you there! Little-Owl-(Athena-noctua)-20090609, originally uploaded by Paradise in Portugal. I wasn’t going to put this picture up on this blog …. 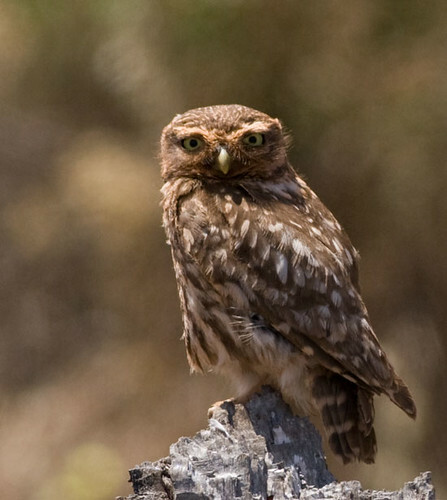 I posted it on my birding blog and was going to leave it at that … I mean I see these Little Owls every other day, they’re not that special, but ever since I put it up on to my Flickr Photostream I’ve been inundated with comments so hey, what the heck, if it’s that good I’ll post it here as well! I hope you enjoy it! The Quinta’s choice of wines June ’09, originally uploaded by Paradise in Portugal. …. the Quinta’s wine choice as organised by Heather! Our ethos here is that all our wines are Portuguese, all of them have real corks, and …. all of them have a bird either on the label or in the name! This third point is very important! Seriously though, Portuguese wines are gorgeous and we are very insistent that all of ours must have real corks so that we do our bit to keep the Montados alive, which is an absolutely vital industry in our area.